The Potting Shed Commercial Awning. 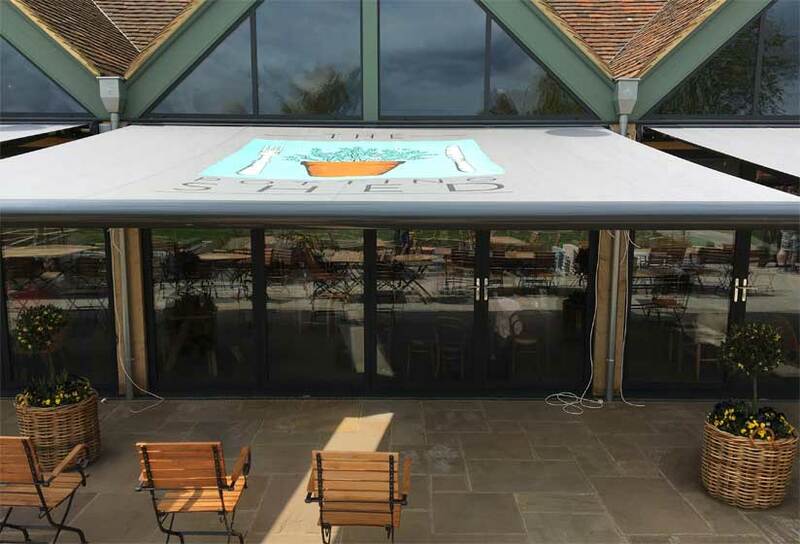 At Savills, we are Delighted to have supplied and erected the awnings at The Potting Shed in the village of Langley near Maidstone. The Potting Shed is a real gem, this relaxed, friendly family pub features a large open Kitchen and is the ideal place to take the family. The Potting Shed talked to us about how we could make their customers meal times a glare free experience. 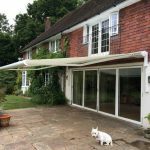 The addition of these three Opal Design awnings did the trick, these days the only glare you will see in The Potting Shed will be the glare from your partner upon suggesting sharing starters is a good idea. 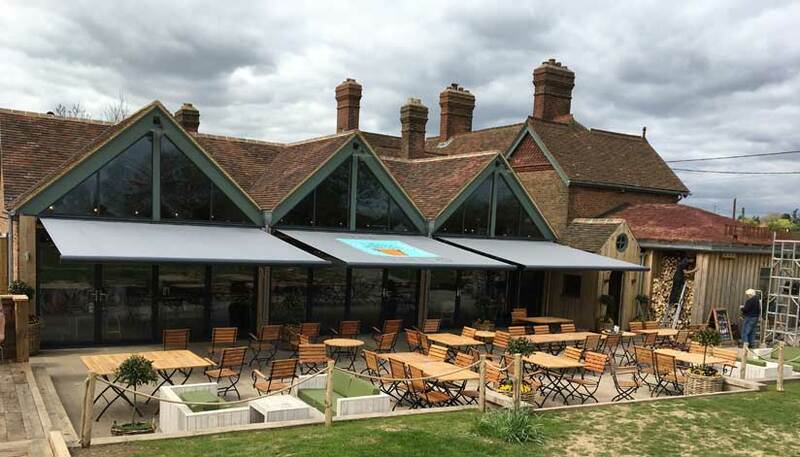 The Opal Design is the perfect awning for those wishing to combat the effects of the sun; the opal design like all Weinor awnings is incredibly well built making it ideal for commercial and domestic installations alike. In total, the canopy spans 14 Metres, if you have a large area to shade; talk to us we will provide a solution. A.C. Signs in Aldington near Ashford carried out the sign writing on this awning; sign writing is something that can be arranged for all of our commercial customers. All awnings installed and fitted by Savills The Awning Company Ltd are truly bespoke with over 200 fabric colours and 53 frame styles no two awnings are the same.